It’s late Monday night and I’m working on this review. I wanted to have it done by midnight, but this lovely, lovely book is filled with ideas. I need another hour or two! Ah, it’s 12:22 AM and here is the full review. This is my second review of a “500” book, a terrific series of books from Sellers Publishing. Two weeks ago I wrote about 500 Casseroles. Those are wonderful, healthy recipes, the epitome of comfort food in some cases or outright Parisian sophistication in others. Suzi and I turn more and more to tarts for main courses. 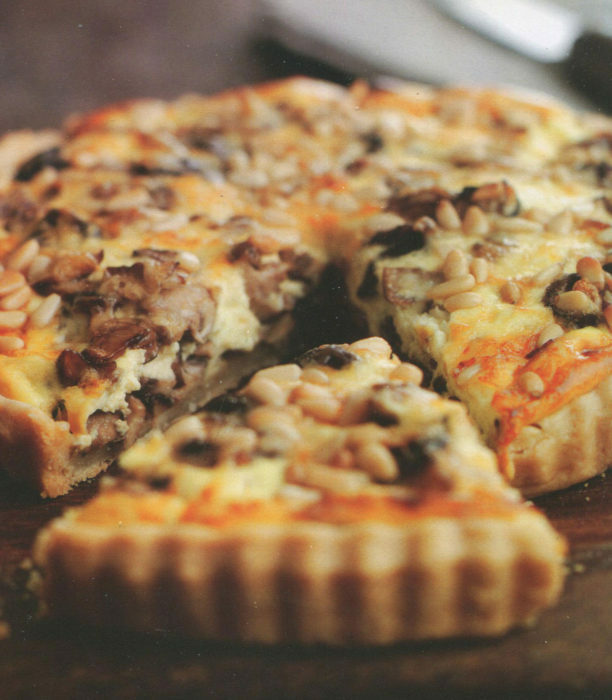 Here’s a wonderful example from the book, Mixed Mushroom Tart with Gruyere and Pine Nuts. Add salad and wine for total satisfaction. These are modest changes to the basic recipe, but interesting ones. You’ll get an adjusted flavor profile and you may be inspired to try experiments of your own. Don’t make just one change: do it multiple times. 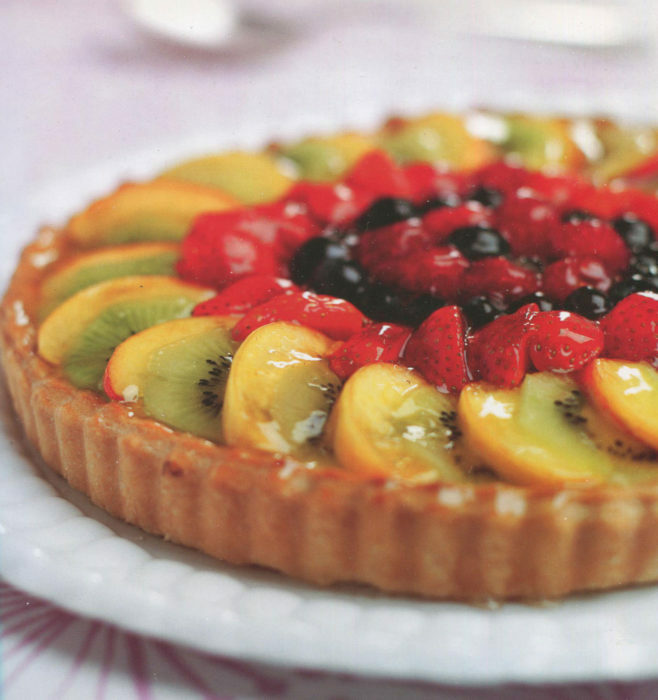 Try the Glazed Fruit Tart with just strawberries on top and that hazelnut sweet crust on the bottom. There are long lists for strawberries, raspberries, and bananas. There’s a shorter list for parsnips, but you just might consider that too. 500 Pies & Tarts will keep you very busy in the kitchen. You can have a savory tart for appetizers, a pot pie for dinner, and a crumble dessert to end the night. It’s a happy book, one filled with easily followed recipes. 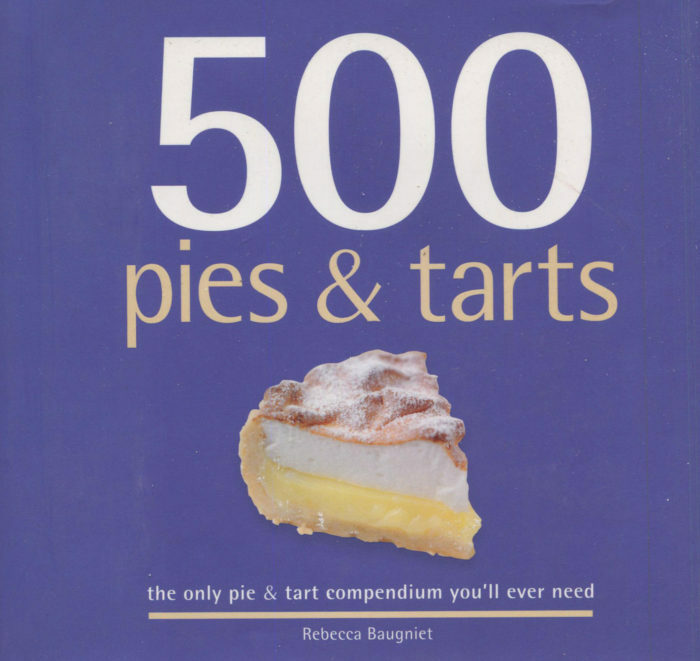 There are 500 reasons here to put 500 Pies & Tarts in your kitchen! That chapter on Special Occasion Pies? Ah, that’s where you find Eggnog Chiffon Pie.